When the Education for All Handicapped Children Act (EAHCA) was first introduced to the United States population in 1975, it opened the gates for all children to participate in a free appropriate public education (FAPE). Defining what constitutes as a disability, however, has been a little more challenging. Eli Bower was an educational psychologist who dedicated most of his career to understanding mental handicaps and working to find solutions for those who are afflicted. He began working with emotionally disturbed children in New York around the middle of the 20th century, and eventually moved on to become a teacher and child psychologist while he continued to work as a consultant for both the California Department of Education and the National Institute for Mental Health. Bower’s work was primarily focused on emotionally disturbed children, as he was interested in what made them that way and wanted to know what causes were driving such behavior. His work was specifically-centered on mental retardation, defects in sensory perception and emotional disturbances in children. He wanted to find ways to detect these issues in early childhood so proper preventative measures could be put in place. In addition to this, he also helped to develop special educational programs at the University of California, Berkley. Our perceptions of special needs tutoring and what types of disabilities fall under the umbrella of special education depend largely on Bower’s earlier research into the early discovery, diagnosis and subsequent teachings for children with emotional and behavioral disorders (EBD). But how is a child diagnosed, and what can be done to help with their education? Exhibiting inappropriate behaviors under otherwise normal circumstances, such as laughing at a sad situation, etc. An inability to learn that can’t be satisfactorily explained by physical, intellectual or sensory means. It goes without saying that these are fairly generic symptoms that could also be attributed to other conditions, such as an autism spectrum disorder, so children that might be on the cusp of receiving this diagnosis need to be examined through close inspection to ensure EBD is the proper condition that needs to be identified and treated. If your child has been diagnosed with EBD and is of school age, the first item on your agenda should be discussing their condition with the school that will be responsible for educating them. When EAHCA was reauthorized in 2004, it was also renamed the Individuals with Disabilities Education Act; disabilities and what defined them were laid out for all conditions so as to not exclude anyone that might need the assistance that special education, and special needs tutoring, could provide. One of the conditions for children with emotional and behavioral disabilities – and all disabilities – to start receiving special education services under IDEA is that an Individualized Education Program (IEP) must be put in place. This is essentially a guide to how your child should be educated during their present school year and what goals and milestones should be reached during this time. To get started, a parent must ask for a meeting with their child’s school officials, special education professionals, child therapists and any other qualified professionals that could shed some insight into the child’s condition and educational goals. 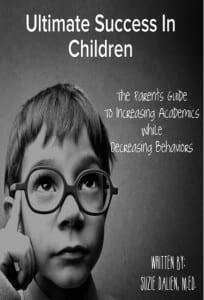 Once everyone is gathered together, the child’s emotional and behavioral disorder, as well as where they stand academically and what they stand to learn in the coming year, is addressed in one fell swoop. Goals are set and descriptive measures of how they’ll be implemented are decided upon, with parents and educators alike agreeing on the best special education for the child in question. From there, it’s just a small step to actually educating according to the IEP; the program is analyzed throughout the year and anytime the parent requests to make sure the child is staying on the right track. Special education services can only go so far, however, and sometimes just isn’t enough for a child to successfully complete a school year unaided. In these instances, special needs tutoring is there to step in and take over wherever special education creates a gap in services. Some children learn best when they’re in what they perceive to be a safe personal environment, such as their own home, which means special needs tutoring should go where children are most comfortable so they can properly learn the concepts that need to be taught. Special Education Resource specializes in providing one-on-one special needs tutoring to your child whenever and wherever you might need it. We offer personalized lesson plans that are tailored to your child’s specific needs, designed to work with their individual disabilities and unique learning style in a way that traditional schooling might not be able to cover. With just a few clicks and some basic computer equipment, you can arrange for your child to take part in special needs tutoring provided by qualified special education tutors with several years of experience. If your child is currently enrolled in school, we utilize a technique called supplemental learning through special needs tutoring. Supplemental learning takes the curriculum currently being taught in your child’s classroom and molds it to fit their individual learning needs. If your child is not yet enrolled in school or currently being home-schooled, we create personalized lessons based on their current goals or around a specific area in which they require additional assistance. This could be self-skills, social skills and any other area pertaining to development. The first step in determining whether or not special needs tutoring is a viable option for your child is a free consultation with a special needs tutor. 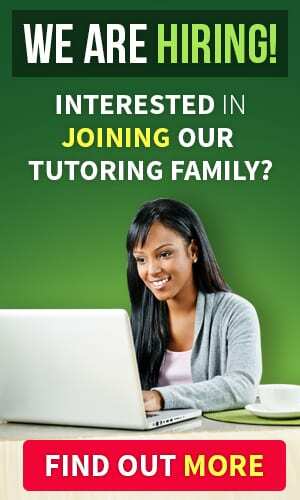 During the call, the special needs tutor will help answer tough questions, offer guidance and help formulate a plan to assist your child in reaching their excellence. If it weren’t for special education champions and pioneers like Eli Bower, the landscape of what we know as special needs tutoring would probably be completely different. It’s a respectable person that can address the challenges of emotional and behavioral disorders and provide alternative, working solutions that are relevant and beneficial to the person diagnosed. 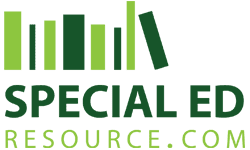 Special Education Resource prides itself on providing those same educational routes as the trailblazers before us, and offers the best one-on-one special needs tutoring available on the internet today. Often times, a child with an Emotional Behavior Disability require some additional assistance in reaching their excellence. Special Needs Tutoring offers the guidance required to reach their success. As classroom sizes continue to increase and budgets decline, parents all across the US are taking their children’s education into their own hands. Supplemental learning can truly make a difference both in academics and behaviors for all children with special needs. The more information and guidance you have, the better equipped you will be to advocate the best possible education for your child. We can help.